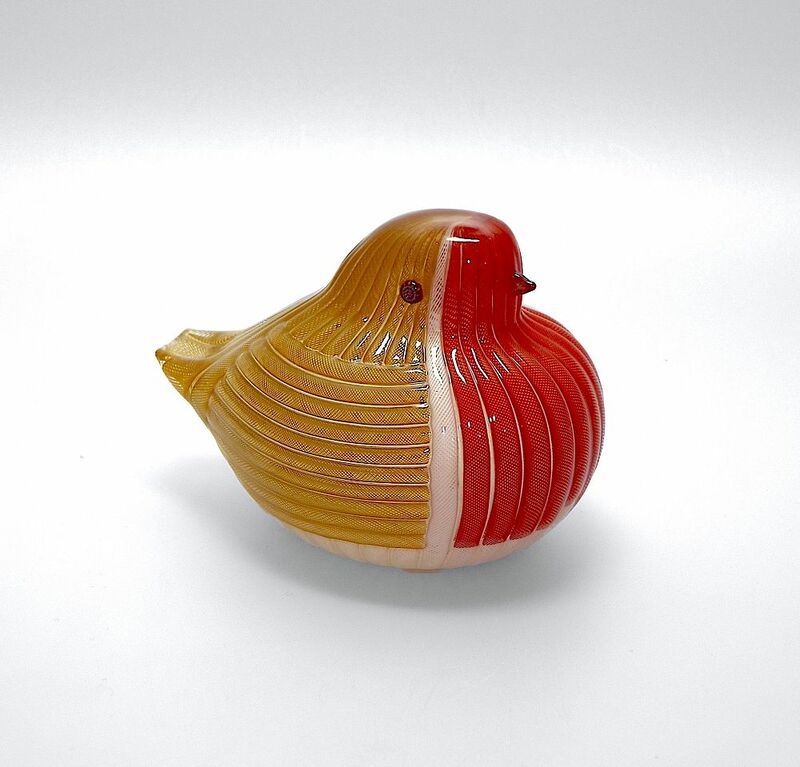 This very cute hollow blown robin was made by Michael Hunter for Twists Glass in 2017. The little fellow has a brown zanfirico cane body and wings with a red zanfirico cane breast, bordered on each side by white zanfirico cane stripes. He has a small red zanfirico cane beak and blue red & white murrine cane eyes. The base is scratch signed "M Hunter Twists 17" and has the Twists Glass studio label. Mike has changed the shape of the robin to make him rounder with a shorter tail.